Although we’re still a long ways off from the virtual reality universe depicted in the new movie “Ready Player One,” VR is becoming a reality in many homes. But how is this immersive technology impacting our kid’s cognitive, social and physical well-being? 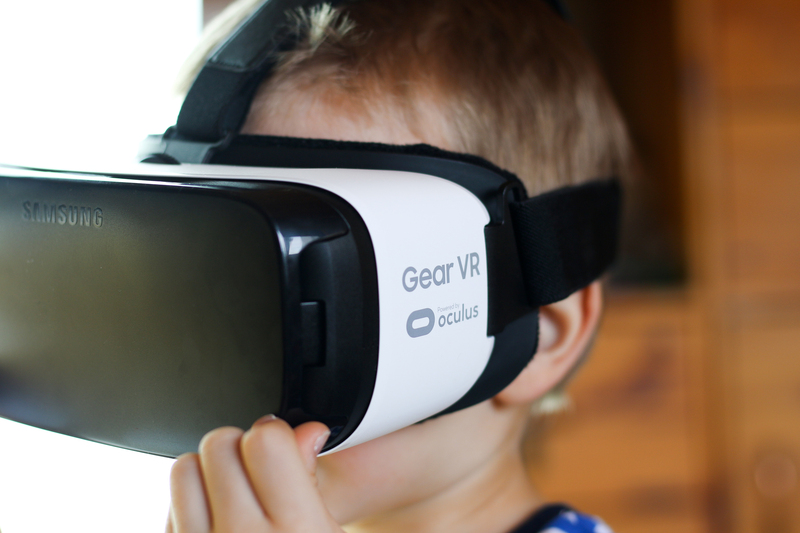 Stanford researchers and Common Sense Media are investigating the potential effects of virtual reality on children. And a just-released report provides parents and educators with a practical guide on VR use. “The truth is, when it comes to VR and kids, we just don’t know that much. As a community, we need more research to understand these effects,” Jeremy Bailenson, PhD, a Stanford communication professor and the founder of Stanford’s Virtual Human Interaction Lab, wrote in an introduction to the report. VR powerfully affects kids, because it can provoke a response to virtual experiences similar to actual experiences. Long-terms effects of VR on developing brains and health are unknown. Most parents are concerned, and experts advocate moderation and supervision. Characters in VR may be especially influential on young children. Students are more enthusiastic about learning while using VR, but they don’t necessarily learn more. VR has the potential to encourage empathy and diminish implicit racial bias, but most parents are skeptical. When choosing VR content, parents should consider whether they would want their children to have the same experience in the real world. Ultimately, the report recommends moderation. “Instead of hours of use, which might apply to other screens, think in terms of minutes,” Bailenson wrote. “Most VR is meant to be done on the five- to 10-minute scale.” At Stanford’s Virtual Human Interaction Lab, even adults use VR for 20 minutes or less. One known potential side effect from overuse is simulator sickness, which is caused by a lag in time between a person’s body movements and the virtual world’s response. Some parents also reported that their child experienced a headache, dizziness or eye strain after VR use. In addition, the researchers advise parents to consider safety. Virtual reality headsets block out stimuli from the physical world, including hazards, so users can bump into things, trip or otherwise harm themselves. A good option, they wrote, is to bring your child to a location-based VR center that provides well-maintained equipment, safety spotters and social interactions with other kids.